UFO's have again crossed over into the mainstream. 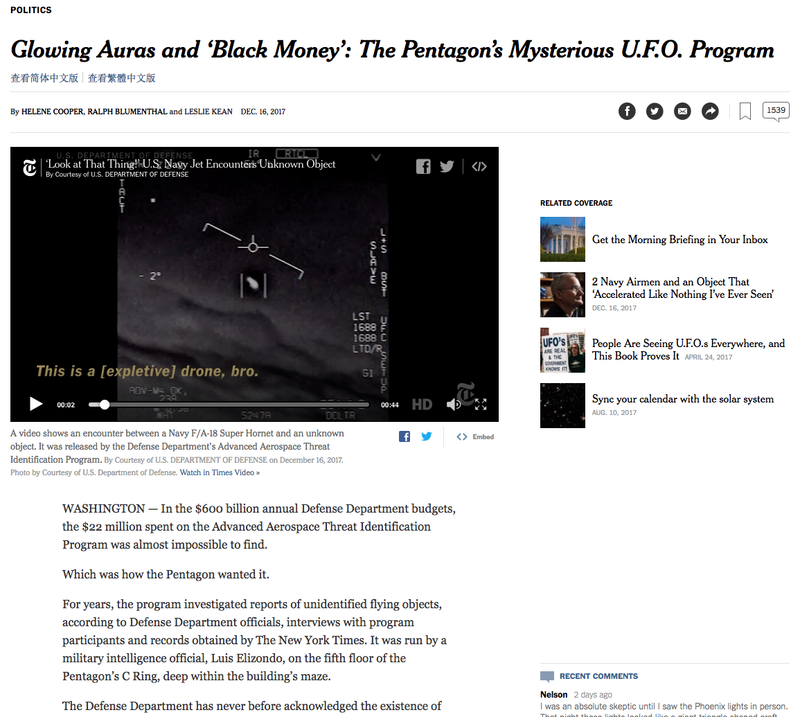 New York Times had a front page story on Sunday about a secret Department of Defense program that investigated reports of UFOs from 2007-2012 (and may be it is still active). Politico also has an independent article on the same UFO program. I have been teaching a class called Aliens: Close Encounters of a Multidisciplinary Kind for the past ten years. In the class we look at the claims of UFOs and alien abductions from a historical, sociological, psychological, astronomical, and religious perspectives. It is a lot of fun and a story like this pretty much hits the bullseye for the topics we discuss. So what do we make of the claims in the NYT article? I think there are two key stories here. First, it is about the allocation of at least $22 million from late 2008 to 2011 and the second is about the investigation into UFO claims. Well - this is the part that piqued my interest. There have been earlier claims of "recovered" metal alloys from alien spacecrafts. It is part of Roswell mythology as well (for example, see a few minutes here from the movie Roswell: The UFO Coverup). From that perspective, the military has been hiding this since 1947. Of course, these alien metal alloys are always "top secret" and have not been subjected to any peer-review study. And for some weird reason have not revolutionized the world either (unless, of course iPhone is an alien technology). My point is that these type of claims are standard part of UFO contact mythology for 60-70 years. But this time, the New York Times is reporting on it and so my assumption is that it may have more backing to the reported story. Alas - when you dig a bit deeper, you find a lot of red flags that suggest that you will be wise to take these claims with a healthy dose of salt (and earthly salt will do - you don't need salt from the mineral planet Crait from the latest Star Wars). 1) Association with other fringe ideas: Bigelow - whose company got most of the money - also bought Skinwalker Ranch in Utah. This ranch is one of favorites for people who believe in all sorts of paranormal activities. There are claim of cattle mutilations (yes - aliens travel lights years to mutilate earthly cows), poltergeist, and bullet-proof wolves on the ranch, and have been part of stories of Coast to Coast AM. A number of people associated with this program have joined together to be a part of To the Stars Academy of Arts and Humanities (TTS/AAS). It is founded by UFO enthusiast and former Blink 182 frontman Tom DeLonge. The person who ran the AATIP initiative at Pentagon, Luis Elizondo has now joined this venture as well. The Vice President of Science & Technology, Hal Puthoff, was the founder of CIA's psychic program in the 1970s and also believed that Uri Geller had real psychic powers (despite the prominent debunking of Geller's claims by Johnny Carson - see this fantastic clip). One of the authors of a book on the Skinwalker Ranch, Colm Kelleher, is a biotech consultant of TTS/AAS. A major major red flag comes up when you look at the Science section of TTS/AAS website. Just look at their approach to claims of telepathy. They are not even questioning if the phenomenon of telepathy is real. Instead, they are already going forward to "Explore the location in the brain where this phenomenon is centered, and develop protocols for its enhancement and use". This tells you a lot about the people involved in the project. Instead of taking of a skeptical stance (hallmark of any good science), they are already believers. For a contrast, look at how claims of microbial lifeforms in Viking Lander experiments on Mars were treated or in the meteorite from Mars, ALH84001. I haven't looked into all the members associated with this group. But already we can see that it is not just about UFOs, but that now it involves other paranormal phenomena as well. And that is a pretty good sign that we are now heading to the crazy town. 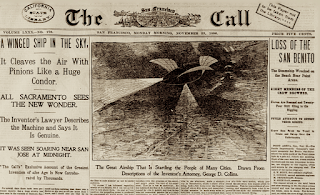 2) Alien technology - always just 1-step beyond reach: There have been claims of alien spacecrafts since 1896-1897. There were multiple sightings of cigar shaped alien crafts. 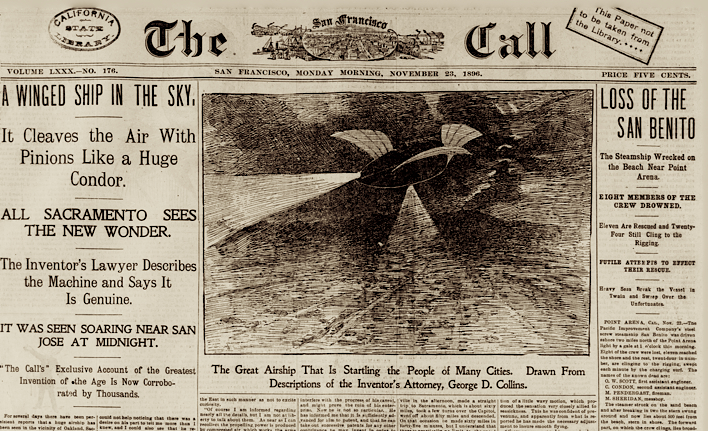 Of course, airship designs were known at the time and interestingly "aliens" already that those in our skies. A few decades later, when humans had propeller planes, alien spacecrafts were advanced enough fly without propellers. Now that we have supersonic planes, the alien spacecrafts look slicker than our planes they move vertical and at a very high speed. It is just interesting that aliens are usually just 1-step ahead of us - but then this could just be a coincidence. And of course, as mentioned above, alien artifacts haven never been subjected to any peer-review studies or have had any discernible influence on the human technology. 3) For-profit venture and the closed cycle of credibility: Many of these stars of research are now part of To the Stars Academy of Arts and Sciences (as mentioned above). It is a for-profit venture in what its founder calls it a "Public Benefit Corporation" and they have a button to "invest" right on their front page. They have so far sold $2 million in stock shares so far and the NYT story is a perfect boon for such an organization - which already has plastered quotes from the article on its website. In its launch video, the founder Tom DeLonge talked about making this venture a "perpetual funding machine". Both Politico and NYT stories detail how Harry Reid bypassed the Senate and got support from Alaskan senator, Ted Stevens, and the then head of the powerful Senate Appropriations Committee, Senator Daniel Inouye (Hawai'i) to appropriate this "black money" channeled for this questionable research. But then Tom DeLonge and others used the fact that they have been funded by DoD as way to argue for their credibility. This is a closed cycle of credibility without much due process or any minimal peer review by scientists (if they consider this research scientific). But what do we do about the video of an "encounter" of F/A-18 pilot released by DoD's Advanced Aerospace Threat Identification Program (AATIP)? It is intriguing. The right answer is - we don't know what this is. I would love to know more about it and have the data analysis being open for a peer-review process by scientists. But just because we don't know what it is, doesn't mean that it is a spacecraft from another planet. That is a huge leap that is not justified by the data. Pilots have reported seeing lights since the early days of flight. Foo Fighters (not the band - but wandering lights) have been reported at least since WWII. Are these ionized gases in the atmosphere? Are these things that people imagine in a low oxygen environment at 15,000 feet? Are these refractions off our atmosphere? Are these spacecrafts from other planets? Are these ethereal beings imagined in numerous folk stories? Well - we don't know and we do need to find out what is being seen on the radar. 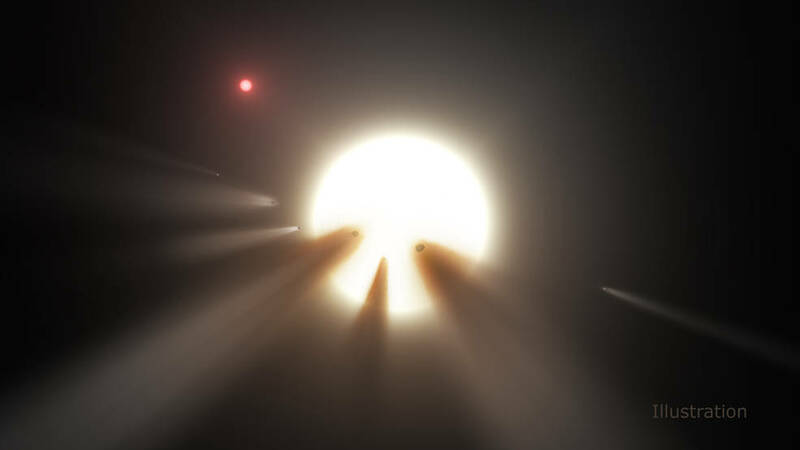 If you want a good example on how to approach aliens then look no further than the way astronomers have approached the weirdness of Tabby's Star (KIC 8462852). Astronomers detected a strange pattern in the dimming of this star. Something that had never been seen before and that could not be explained easily with any natural astronomical phenomenon. The presence of a possible Alien megastructure was/is being suggested as a far-fetched possibility. While this is an amazingly exciting possibility, astronomers have been trying their best to to find a natural explanation. This is not because they don't want to believe in presence of intelligent beings out in the universe - but rather that the presence of intelligent beings elsewhere is such a huge claim that we have to be absolutely sure that we are missing out something more simple. "Extraordinary Claims Require Extraordinary Evidence", as Carl Sagan used to say. I will leave it up to you to see if the UFO claims made by DoD's AATIP program or the To the Stars Academy of Arts and Sciences (TTS/AAS).